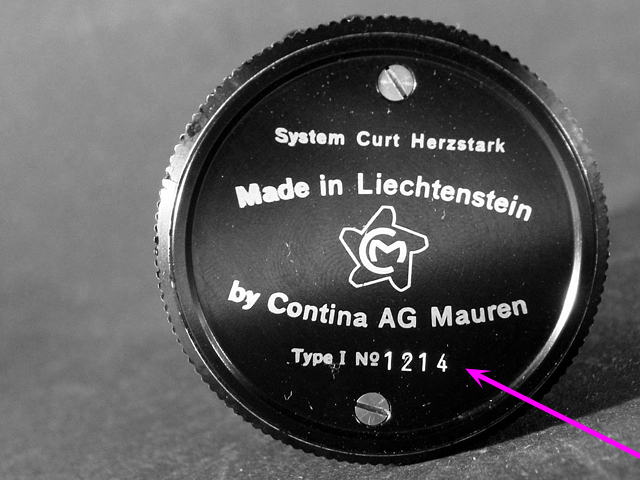 It's kind of a faked Curta - it's an early Curta Type I - but it's not serial number 1214. 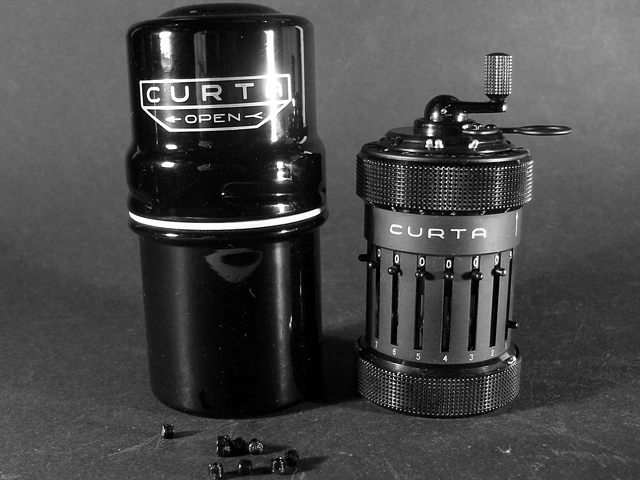 4) finally the canister is not fitting this "rare early Curta Type I"
Never mind, I think what your saying is this can with sticker is a later Model 1 not that early a serial number, looked for the ebay listing even in completed and could not find it. The main point is the fake serial number... which results in a high price! 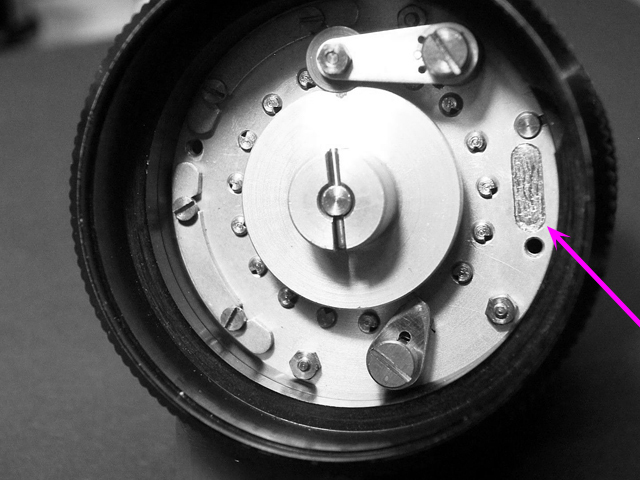 In the description the seller note's that the serial number is removed from the underside. "All Original" - the fake S/N stamping sure wasn't original. Unless that eBay seller can show he bought it that way - altered, with no other plausible intent than to deceive - from another seller, he faked it himself and that makes him a liar and a cheat IMO. I concur fully with Murff's assessment. eBay won't give a hoot but we should flag that sale, I'm going to report it myself. EDIT: Reported, under "trademark" - dishonest misrepresentation. Interesting! Now that it's withdrawn I wonder what he'll do with it, it's obviously altered and the real SN abraded...I myself wouldn't buy it except as a "desk" machine, one to use rather than sit in the collection, because you'd never be able to resell it. Value would be in the low hundreds USD in that case. Tough lesson if he bought it that way, with the person who sold it to him representing it as far more valuable than it was. If so we might see others popping up for sale going forward. Well, I contacted him, maybe we can work a deal.